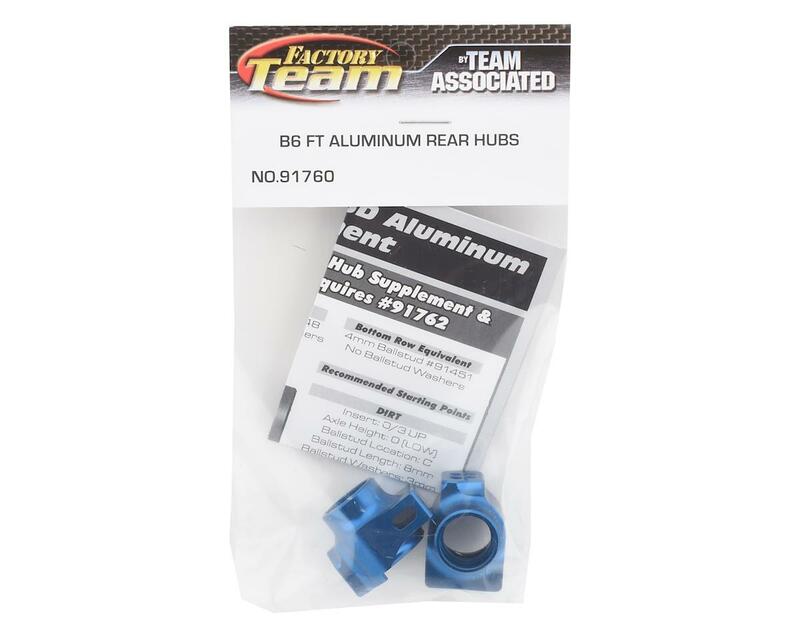 The Team Associated B6/B6D Factory Team Aluminum Rear Hub Set allows the ability to run 67mm CVA bones for increased rear support under lower ride height conditions. Axle height is adjustable by using the existing plastic inserts that come with the stock rear hub. You should state that one needs to purchase the 8mm balls with spacers ($23 extra) or the 4mm balls ($16 extra) in order to use. That information is located on the product insert. 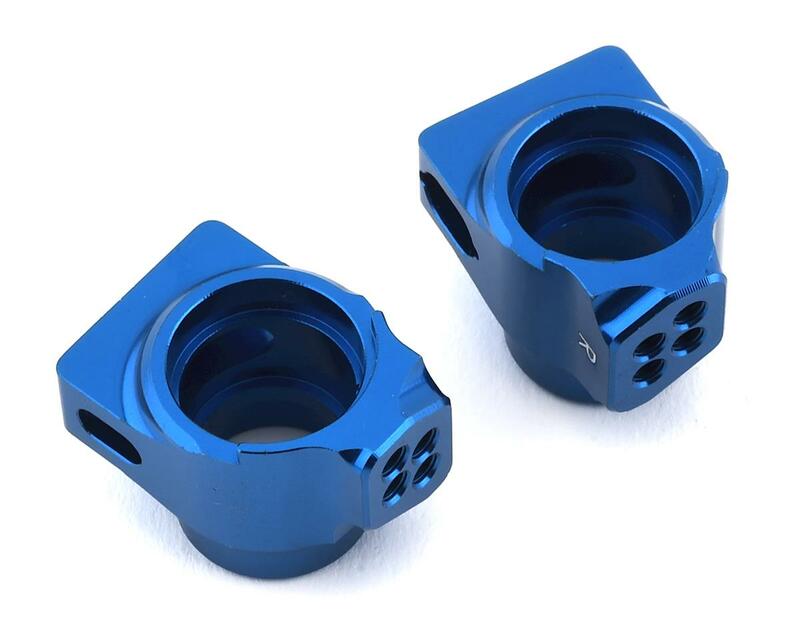 These will not work with the standard ball mounts that come with the RC10B6.1D kit because the standard kit balls are too long. I would not have purchase knowing that. I'm sure the hubs are fine, but now I have to wait for the $16+ balls to find out. I'll still give it a "Good" rating because Team Associated makes great stuff. But please, update the product page. Thank you! When I installed these on my B6.1D, I switched the 10mm ballstuds meant for the stock hubs with the 8mm ballstuds meant for the chassis on the rear. I used the blue battery thumbscrews as spacers (had spare hex nut to replace them). This way the suspension is set up nicely with no need for additional parts. Part works as intended and looks nice too. I do agree, they should've included extra hardware or at least noted that normal 10mm ballstuds wouldn't cut it.